The transition to secondary school can be a scary and daunting prospect. With our eldest having gone through it over 3 years ago, it will be the turn of our youngest child in September 2017. 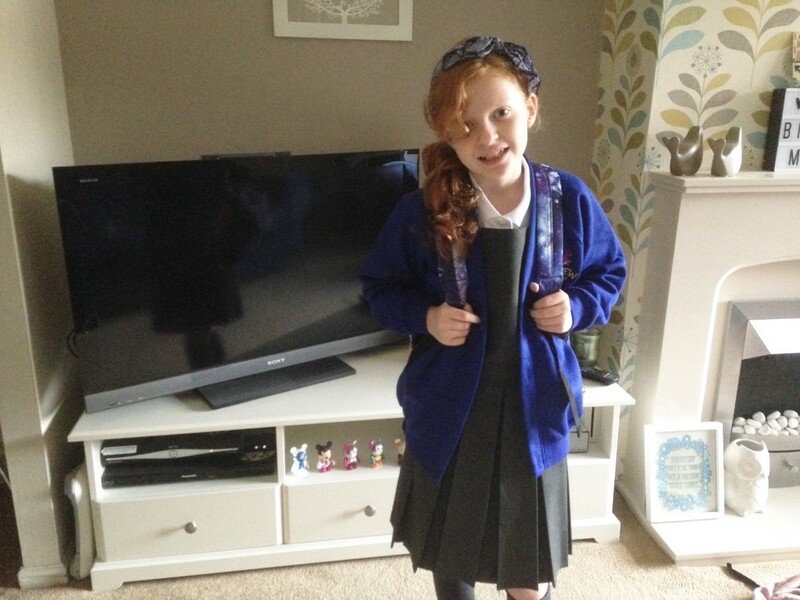 Thankfully the transition to secondary school has already started for her. The school which she is hoping to attend is her brother’s school, and they start the transition from October. This will give her a full 11 months of being involved with the school, before she officially starts next September (we are 99% certain she will get in under the sibling rule, and that we also live 3 minutes walk away from the school). 11 months of finding her way around the maze of corridors. 11 months of getting used to the teachers she will meet along the way. 11 months of getting to know the other boys and girls, who will also be starting the secondary school journey with her. The ‘Around the World’ Saturday club does all of these things. Each week Katie will learn about a country, which could see her making a traditional dish in the kitchen, or learning circus skills when she studies China. And on Saturday she went on her first trip to a traditional Japanese restaurant in Chester. In the coming weeks she will have the chance to go to the Manchester Markets on another trip, learn all about the USA and cook a tasty lunch. Plus enjoy a Christmas celebration where parents are invited to the school. And once the ‘Around the World’ club finishes next July, the transition still continues. She will have 3 full days of experiencing the school during the week day, plus a week of summer school in the 6 week holidays. And come September when she puts her blazer on for the first time, I hope that my little girl will have no secondary school worries. She will walk into the school knowing her way around, recognising some of the teachers, and will have made new friends before she has even started. And if she needs a reassuring pat on the shoulder, she will no doubt have her big brother in year 11 looking out for her. Wow she’s will get a great transition period. A has just started a new school in year 5 (we’re three tier here) so won’t go to upper school until year 9. I love that they begin transitioning them a whole 11 months in advance – how forward thinking of the school. This must help no end with settling in come September. She’s looking ready already!